There are signs of life! 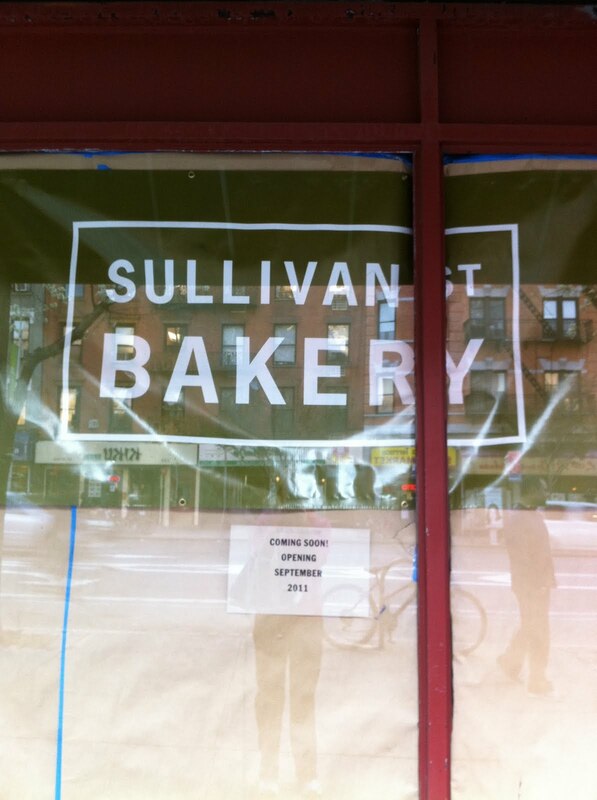 We had word that there would be another outpost of Sullivan St, Bakery after the little coffee shop closed in February 2010. I’ve been waiting for action. Nestled between Txikito (a great tapas place) and Co. (Jim Lahey’s pizza place), Sullivan will offer me bread and bread and more tasty bread. Yes, Jim already owns the place next door! Though, I’ll admit, it’s not my favorite pizza, the place is always busy. There was a big uproar when the coffee shop guy was “being kicked out” of this little stretch that’s gone a little more upscale. Even I signed the petition. Apparently, it was a little more involved than that and not such a sad story. I’m ready. But September 2011? Yes, that’s what the sign says, coming in September. UPDATE (7/2012): Summer 2012 arrival?